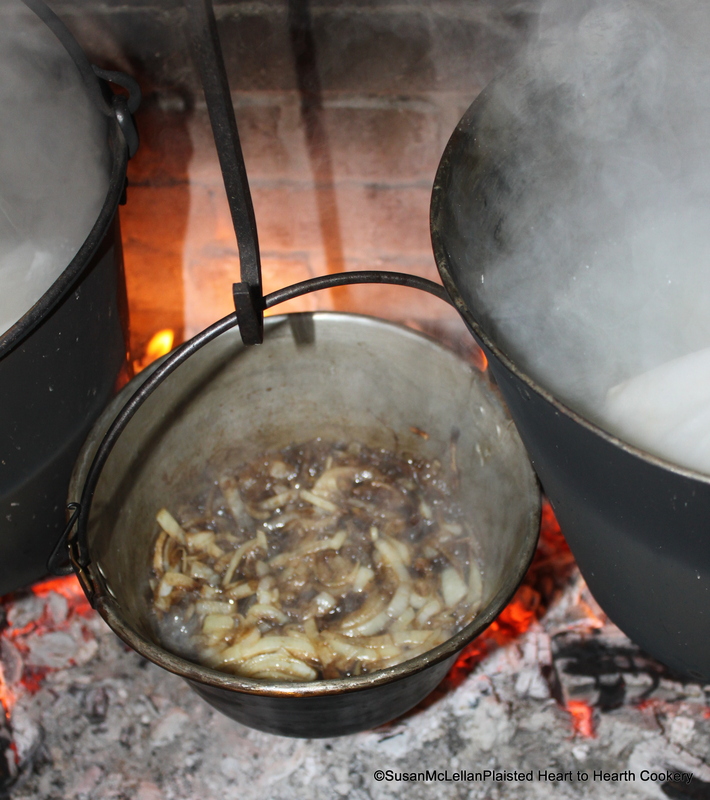 Pictured first is a pipkin full of onions being stewed slowly for a Sauce for a pheasant. 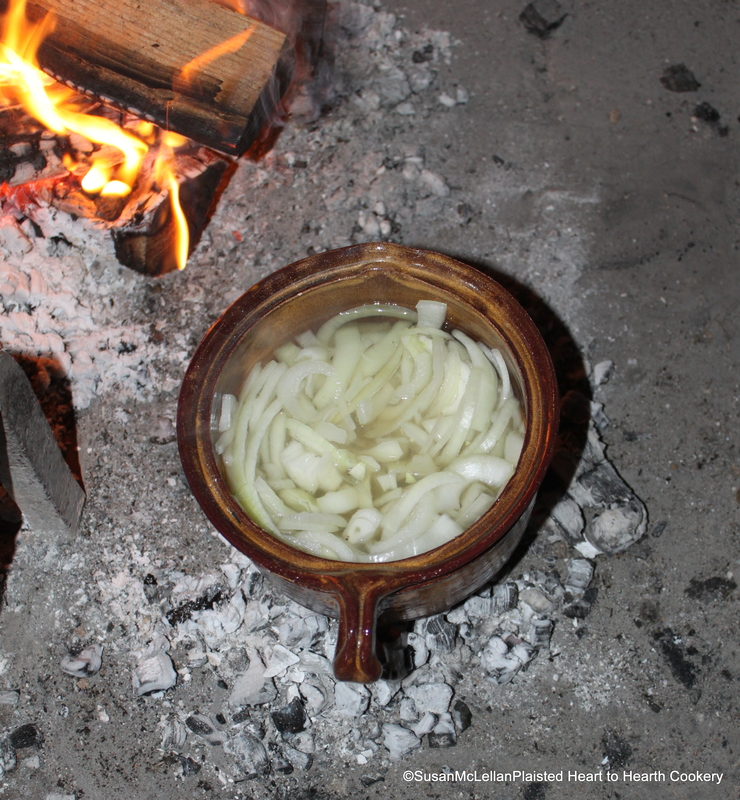 Even though Robert May’s receipt (recipe) for Onion Pottage directed after the slic’t onions were fried to then have a pipkin of boiling liquor over the fire, I used a kettle as the hearth kitchen was very cold in February and pipkins need to be heated slowly so as not to crack. When the liquor boils put in the fryed onions, butter and all, with pepper and salt.